Meet Lucile: She’s 96 and flies a Beechcraft. Then there’s her son Bob, who started digging up dinosaur bones on their ranch as a relaxing hobby. Bob’s son Grant fly fishes in Alaska. Four generations of cattle feeders. Lucile Bledsoe and her late husband Henry started the feedyard that her son Bob ran before turning the management over to his son Grant. His kids are learning the ropes, doing everything from walking pens to making tags. When I visited the Bledsoe family near Wray, Colorado, last week, it was a bit like reading a page-turner. With each question, I learn something surprising. I laugh at the fun details sprinkled in, and every answer makes me want to get to the next chapter. “The FAA doesn’t discriminate, but the insurance company does,” Lucile says with a feisty smile. Due to her age, the matriarch now flies with a second pilot. Grandson Grant might take her along when they make a daytrip to check on their stocker operation in western South Dakota. Bob and Becky Bledsoe met at Colorado State University, and moved back to Wray after her internship and his time in the service. He still says she’s the glue that keeps things together. He doubted the seller… until he found his first one. Bob’s office is chock full of fossils and arrowheads, paintings and antiques. 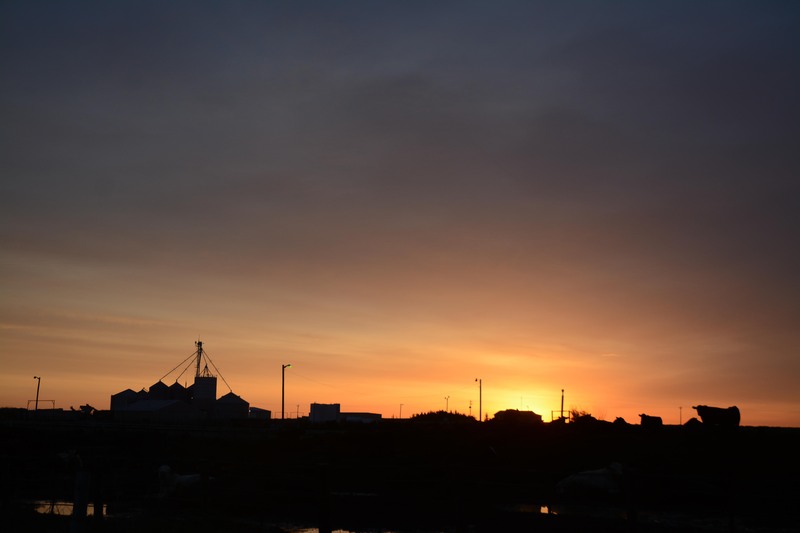 Across the building, Grant runs the everyday feeding, farming and ranching activities surrounded by everything from an Alaskan bear to a Colorado moose. His family, which includes wife Katie and their kids, Jackson, Emma and Eryn, provide help in summers and on weekends. Grant and Katie bring their kids to the feedyard to walk pens on Sunday morning, just as Bob and Becky did before them. Not only does it allow the family to give many of their employees the day off, but it’s a chance to connect for the week ahead. 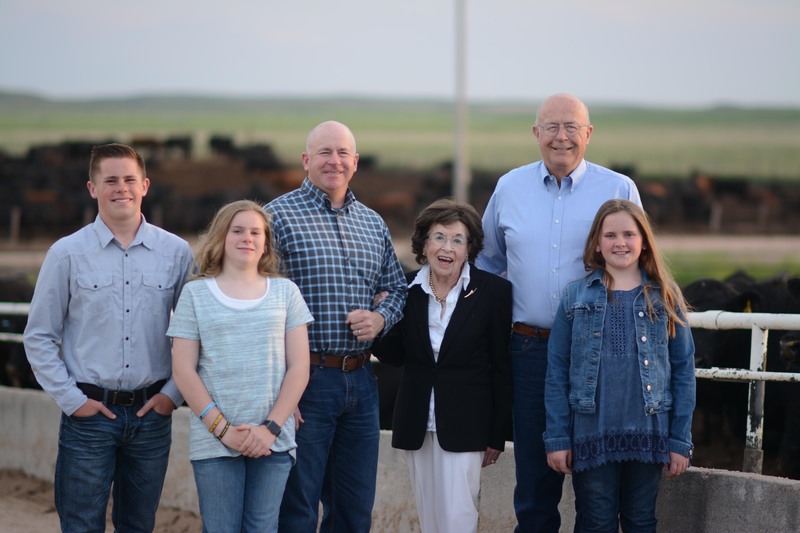 Producing high-quality Angus cattle at the 6,000-head feedyard is not only good business, but also family tradition. 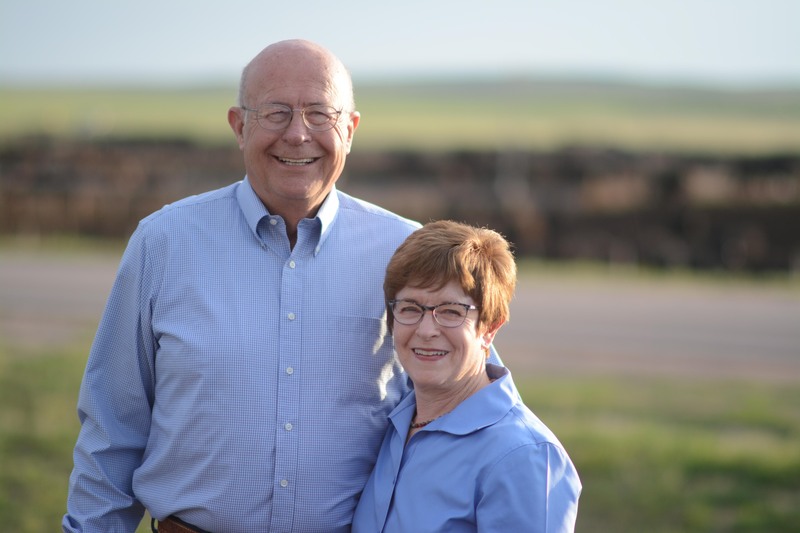 The Bledsoes have been buying cattle from some of the same Wyoming ranches for 35 years. The family and their employees wean nearly 8,000 calves each fall, then send them out to cornstalks for winter grazing. Grant says their success depends on having those cattle set up to deal with that stressful period before they ever leave the ranch. 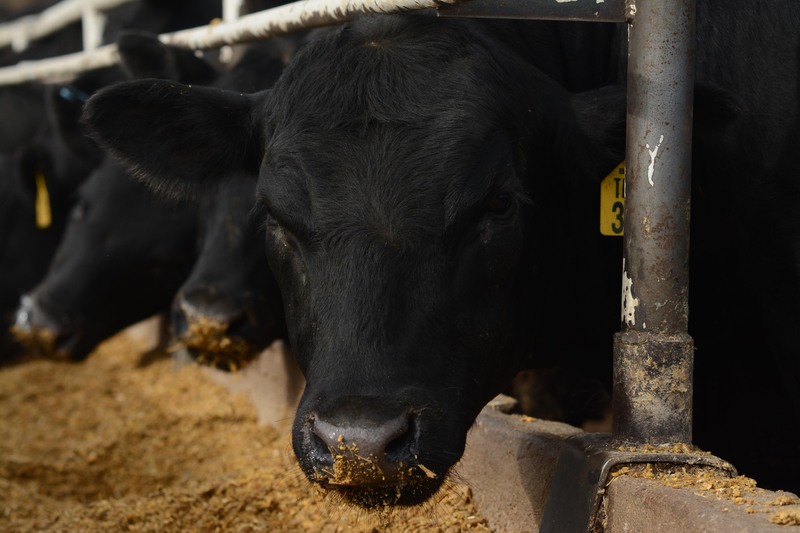 “Ranchers, if they have a good vaccination program, that is very important to a feedyard. And also good cattle handling skills, so those cattle get here and are acclimated to people,” Grant says. They start on feed better, they gain better and in the end, they grade better. “The customer is always right,” Bob says. In this case, the packer wants Angus cattle that will grade, while keeping yield grade 4s and 5s at bay. Another thing that was clear? They surround themselves with good people, too. We need b-roll video of Grant interacting with an employee, but as they casually chat back and forth, Cruz’s smile doesn’t seem forced. When Adrienne and Sheila say, “Help yourself to anything in the office, pop or water…”, it’s a hospitality that comes from taking ownership of their job. The crew meets around dawn at the scale house to get a game plan together. Grant says that’s his favorite time of day at the feedyard. “We have really, really good employees,” he confirms, telling me about some second-generation folks now working for their family. As I head back east, I think how leaving that visit was like finishing a good book. I’m a little sad it was over so quickly. I’d just vicariously lived a little of their story, and I left feeling better for knowing it. 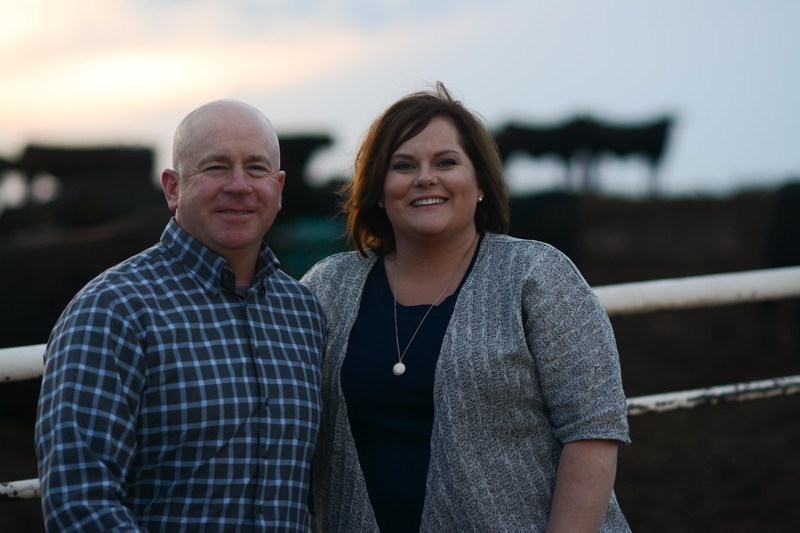 PS–Watch for their story in an upcoming edition of the Angus Journal. I haven’t seen my Aunt Lucile in a very long time and she looks fantastic!! She is the last living child of my grandparents, Jim and Lucile Driscoll. So great to see her and her family! Thanks for reading Linda. I really enjoyed my visit to their place, and Lucile was just a gem, as I’m sure you already know!